This is a very good game but it makes you stress a lot. Reply to me if you agree. It's make me stress out a lot when I don't win and have bad luck. Whenever Frank smashes his hammer, it kind of glitches me out. Also, when I have good wifi it is saying that I don't have good wifi. What's the problem? I like this game because it has clubs you can join and friends you can make and play with. I would download this game but this is a warning about the times you could get mad. I get mad a lot because I don't win very very often. 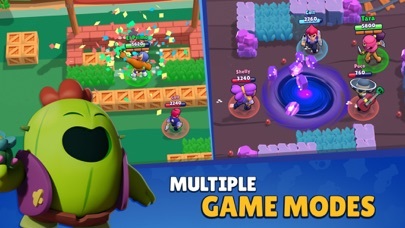 Gem grab stresses me out a lot and it's not really my favorite. 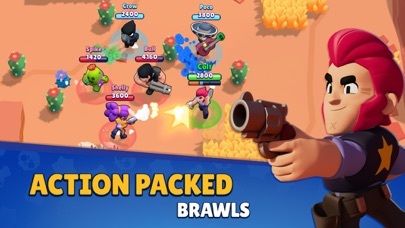 I like bounty, brawl ball, and heist the most. I play with my brother when I want to get trophies. 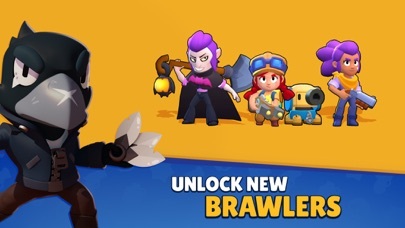 We play showdown. I like this game. You can play with your friends on this game, too. You invite people to be your friend and this game has a chat and more. I love this game but it stresses me out at the same time. Reply by saying "I agree to The Mad Parts," if you agree!!!!!!
. 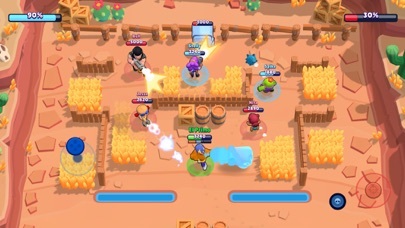 The robots in showdown should not exist .spike should be faster .EL Primo should not be that fast . I recommend this game to everyone, because it is very addictive and fun. But there is one issue that I do believe that needs to be fixed. 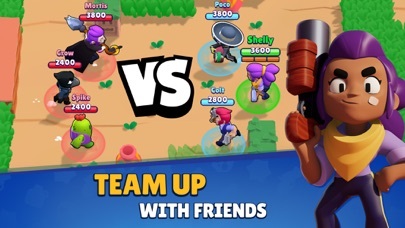 When you get higher up in the trophies, and you que up for solo showdowns, you will be facing people who team up against you, even though it is supposed to be “survival of the fittest.” Only one person gets to win in solo showdown, but when you face people who team up against other individuals who are playing fairly, it’s totally unfair. I’m asking to add a report system and a ban system for the players that are trying to take advantage of other players in this game.